"Wine down" at the end of the week over delicious food, fabulous wine and great company. 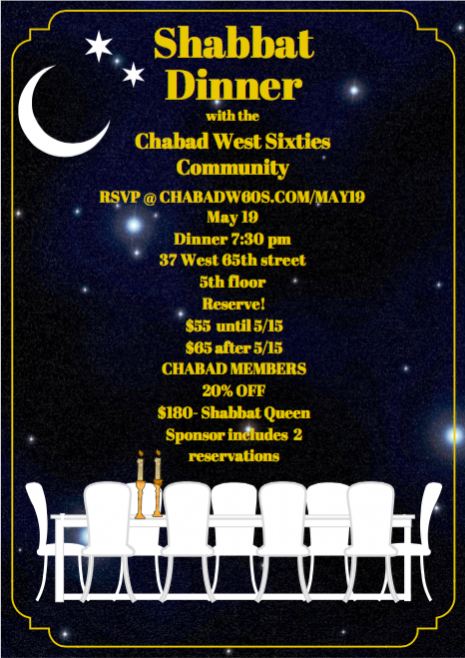 Cost: $55/person.$180/Shabbat queen sponsor includes 2 reservations. 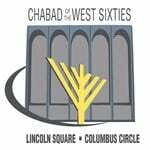 Chabad members 20% discount. Reserve by 5/15 after 5/15 price goes up to $65.